Refills. 25 thank you cards, 25 blank gift certificates, recognition log. Once your on-the-spot recognition program is up and running, you can keep the motivation going with Thank You Kit refills. 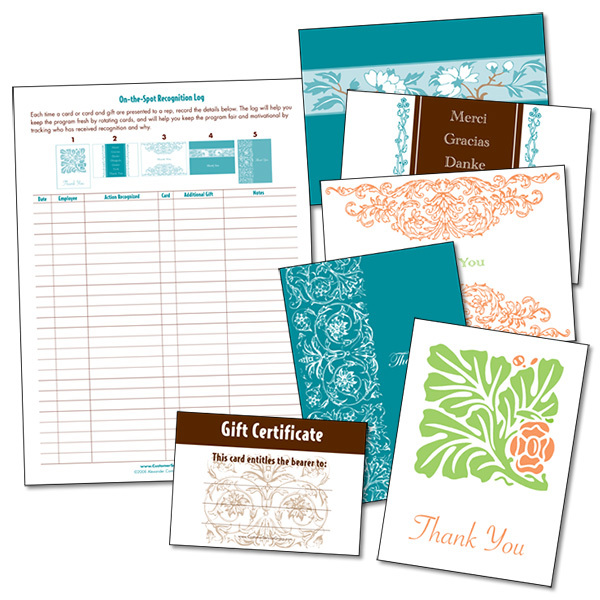 Refills feature the same botanical prints and high-quality papers and printing as the Starter Kit.